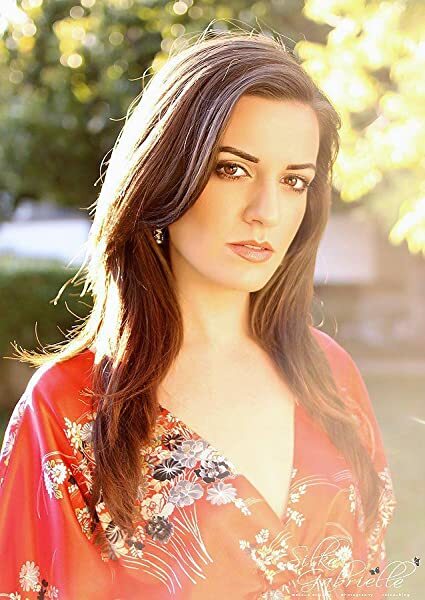 Jenna Moreci is a new adult author, vlogger extraordinaire, nerd-incognito, & alleged cyborg. She specializes in writing adorable, romantic goodness punctuated by moments of extreme violence and bloodshed. Her sanity is questionable. Some of Jenna’s other talents include prolific cursing, spilling/dropping things, accidentally making people cry, and drawing. 5.0 out of 5 starsFunny, Petrifying, Original, Vulgar, Gory- BRILLIANT. 5.0 out of 5 starsOne of my favourite books! This book is brilliant! It took a little while to get going, but it quickly became one of the best books I've read in years. Action packed with some fantastic characters. I can't wait to see what the next book from this author is like! I was a bit freaked out by the amount of pages at first because I went through a period where I just couldn't read, it was impossible for me to keep my attention on the same book. After watching Jenna's vlog I decided to order her book and I'm very happy I did because I couldn't put it down! It's a great book, made me laugh oust loud and hold my breath through the plot twist. I totally loved her characters and it keeps you guessing the whole time.Yes, there were a few stereotypical moments and characters but overall I can't wait to read Jenna's next books and see her writing evolve. I find it amazing that the book makes you love not only the protagonist but the whole team of characters around her . 5.0 out of 5 starsKickass fight scenes! Cool stuff! 4.0 out of 5 starsAn enjoyable read full of plot twists and action. 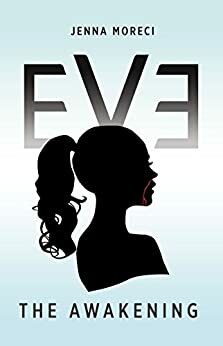 Eve: The Awakening is an interesting idea that takes a few chapters to come to fruition. The first few chapters have clichés but having read the first three chapters on her website, I was intrigued enough to buy it. A hatred towards Chimeras that isn't unlike the hatred towards black people in the 20th century is used to great effect and there aren't many named characters you forget about. The truth behind the Interlopers and how they haven't been noticed is one of many things that kept me reading. If there weren't so many clichés at the very start and we actually got more information on the human antagonists towards the end of the book (as they just seem to disappear) I would give this book 5 stars. I neither Hate or fully liked Eve The Awaking. it was a great first novel. I read Saviours first which I think is a better book. nevertheless I think you can finish this book and enjoy. keep up the good work Jenna. 5.0 out of 5 starsAn amazing book! From start to finish, this book was entertaining. I loved it and the storyline pieced together so well and though it would spilt off in one chapter, it would always fit back together perfectly. I have given this book 5 stars as it is, by far, the best book I have ever read. I really enjoyed this book. I got it after watching a few of the author's vlogs and wasn't disappointed. I was pulled into the struggles of each character so much so that I read the book in a few days! Also...where can I get a Jason Valentine? He's hella fine in my head.